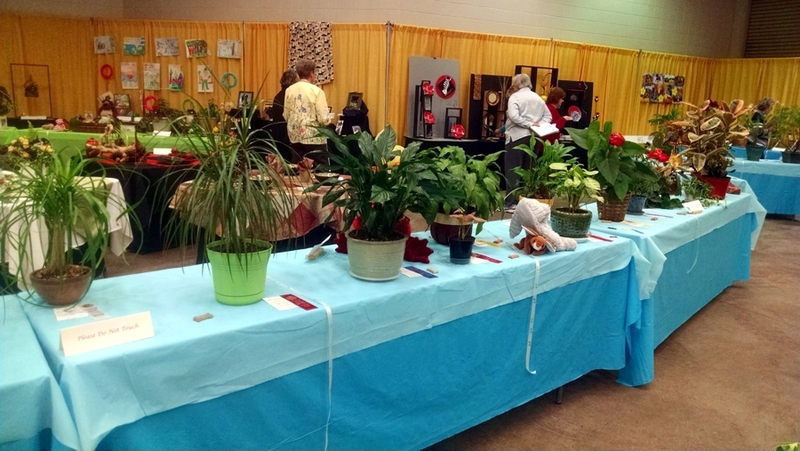 On March 19, I had the honor of being one of the judges for the District IIB Flower Show “All Creatures Great and Small” held at the MSU Pavilion during the Lansing Home and Garden Show. I knew many of the Michigan judges and it was pleasant to reacquaint over a wonderful lunch provided by the district. I was on the ‘orange’ panel consisting of three judges. We spent a lot of time discussing the merits of every exhibit we judged. It was a well-planned, beautiful, and interesting show. A second overall view of the flower show. 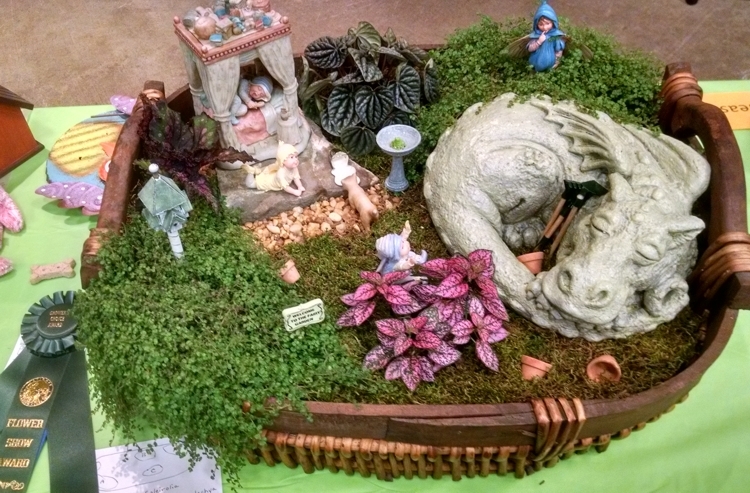 Dish Garden filled with fairies and a dragon. 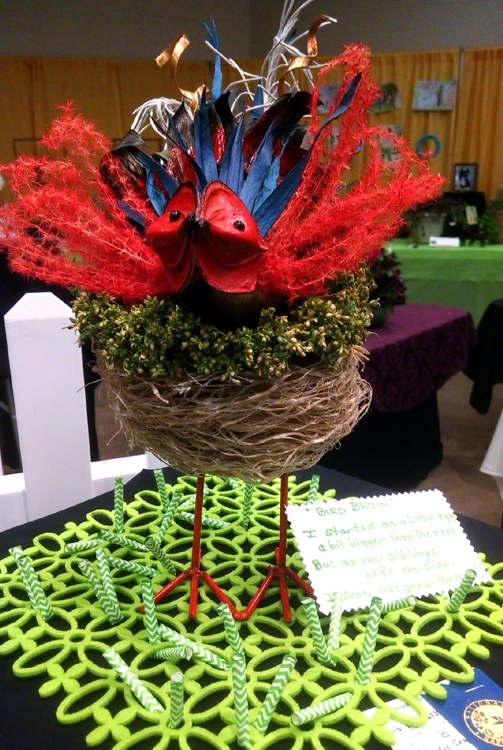 District IIB has many fine floral designers, so the show’s design division was exceptional. I’ve chosen a photo of the table design I liked best even though it earned a red ribbon (tells a lot about the overall quality of designs!). This wasn’t a class I judged, and I certainly respect the judges’ decision. 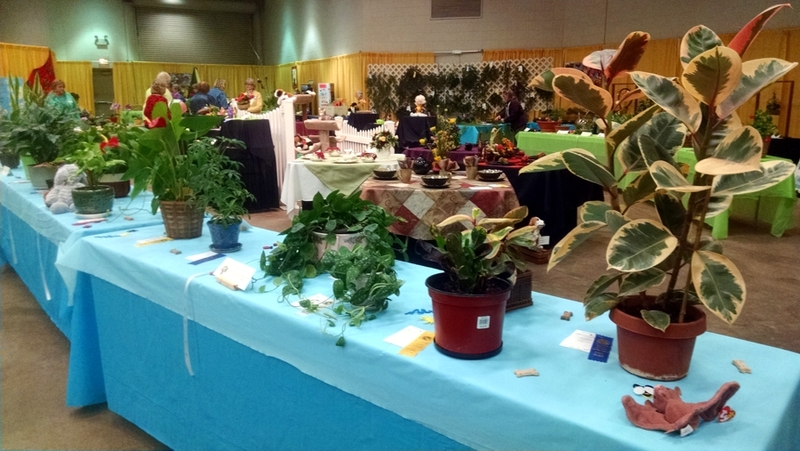 Yet, choosing your own winner in each class is part of the fun of a flower show for viewers. 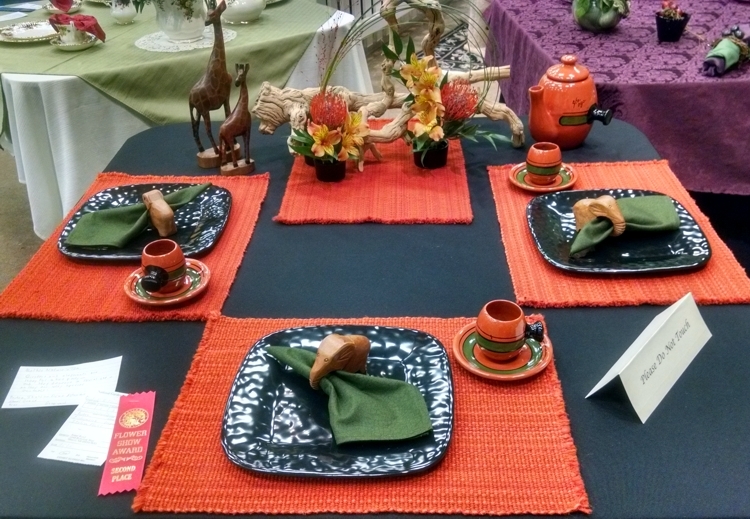 The last division of educational and craft exhibits was also excellent. 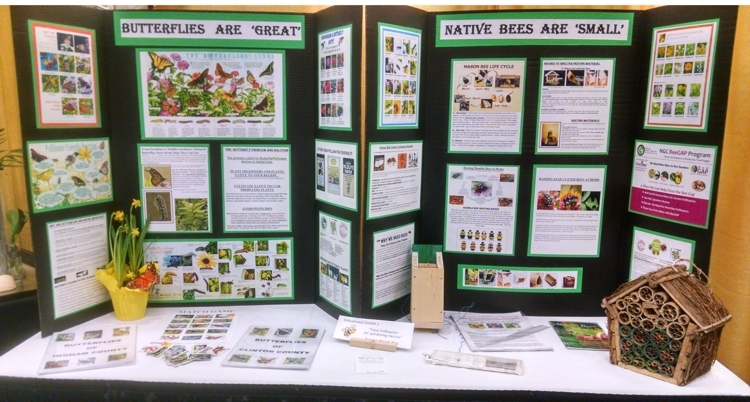 Educational designs are to teach the public about Michigan Garden Club goals, environmental concerns, etc. Two educational exhibits from show. This craft design was in the “Bird Brain” class. While five hours round trip driving time to get to the show wasn’t much fun, the weather cooperated and the trip was worth the journey. Luckily, Lansing and surrounding communities have a much easier drive.